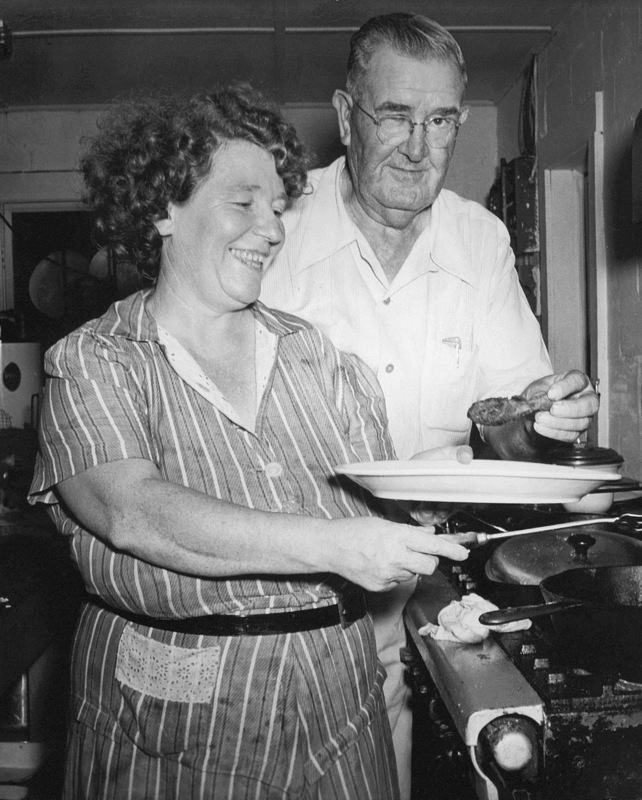 Clara and Bob Owens moved their restaurant from Roanoke Island to Nags Head in the 1940s. Owens’ Restaurant matriarch Clara Mae was born in 1946. That same year, her parents decided to move their restaurant business from Roanoke Island to Nags Head. Back then everyone thought Bob Owens and his wife Clara were out of their minds for opening up shop on the desolate strip of land in south Nags Head. This was before the Outer Banks was a vacation destination. Most outside business came from fishing charters and hunting parties. 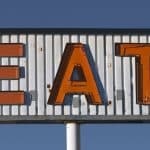 Little did they know that over 70 years later, Owens’ Restaurant would become the oldest family restaurant on the Outer Banks. But the Owens were visionaries and had a keen sense for what was on the horizon. They were to be at the forefront of new development on the beach. Not only is their business still going strong today, but the Owens’ operate with the same integrity and attention to detail that’s been the foundation of the business for over seven decades. Clara Mae remembers her father going to Engelhard for eggs, to Currituck for fresh produce, and to the ocean right across from his restaurant for fish. Owens’ was doing locally sourced food before locally sourced became a buzzword; back when local food was the only thing available to the few restaurateurs on the Outer Banks. And that tradition of authentic, native food is still a hallmark of Owens’ today as they prepare to open for their 74th season. People have said that coming here is like coming home, and I feel like that’s the best compliment you could get,” says Clara Mae with a smile. And it really does feel like you’re coming into the Owens’ home when you walk through the door. Plenty of family heirlooms decorate the building. The local history and artifacts that have been given to the restaurant by longtime friends and fans. Taking a place of honor are Clara Mae’s oyster plates. You’d have a hard time finding these oyster plates at antique stores these days. Staff, many of whom have been a part of Owens’ for 20 or 30 years, greet new and returning patrons with the same warmth and Outer Banks hospitality. 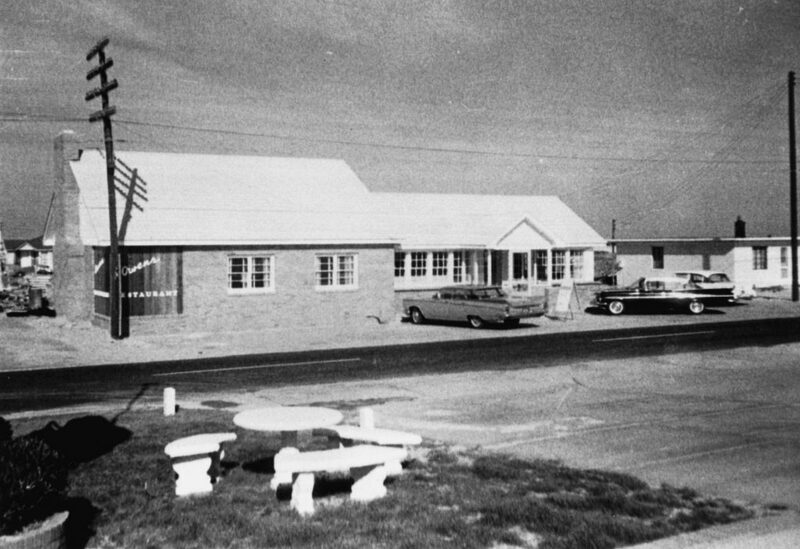 Discover more Owens’ Restaurant history. The food is always fresh, of course, but it also has staying power. Clara Owens’ crab cakes have been on the menu since 1946. 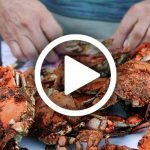 The Owens’ Restaurant crab cakes recipe has remained unchanged for 70 years. Owens’ offers innovative, trendsetting menu items as well. Though the utmost importance is maintaining the consistency and integrity of the food they always have served. Everything that can be sourced locally is done so. Simply and respectfully prepared food. This creates enhanced local tastes. No one leaves Owens’ Restaurant hungry. That was the name of the game in 1946, and it still holds true today. Hundreds of families have Owens’ Restaurant as a vacation tradition. It’s an important fixture in the permanent Outer Banks community as well. Owens’ isn’t just a place for visitors; it’s a fine dining destination for locals too. It truly is the rich cuisine of the coastal south. When asked what makes Owens’ special, Clara Mae takes a thoughtful moment before answering. She’s sitting in the oldest part of the restaurant, where the original 34 seats were. Clara is surrounded by more than 70 years of her family’s history. Then, she speaks softly, but with a fierceness that demonstrates the love she has for this place. Owens’ Restaurant is opening for the 2019 season in March and the family invites you to come dine with them, whether it’s your first time or your twentieth. Find them in Nags Head at milepost 16 ½ on the Beach Road. 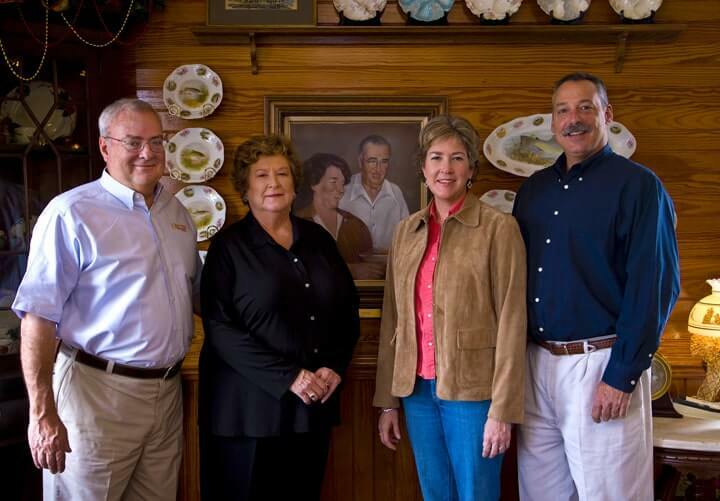 From left, Clara Mae Shannon, Lionel Shannon, Peaches Eckhardt (Clara Mae’s daughter), and Jim Eckhardt.